A signature burger at Brew 30 in the Manchester Grand Hyatt. The Manchester Grand Hyatt has unveiled Brew30 California Taps, a craft-beer gastropub located on the lobby level of the Seaport Tower in the former Redfield’s Sports Bar. The 4,500-square-foot pub features 30 taps — 28 dedicated to San Diego’s top-tier breweries and two for local spirits. 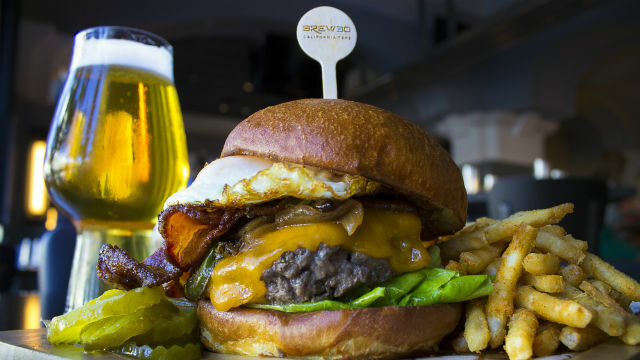 The menu includes elevated bar fare with a focus on signature burgers. Pisco Rotisserie & Cevicheria, a popular Peruvian restaurant in Liberty Station, is gearing up for the launch this month of its second location in Carlsbad. The restaurant is a partnership between executive chef Emmanuel Piqueras and San Diego restaurateur Sami Ladeki. The new location replaces a former Sammy’s Wood Fired Pizza at 5970 Avenida Encinas. West Pac Noodle Bar in Coronado. A new Coronado eatery salutes the countless Navy deployments that have left San Diego for the western Pacific Ocean. 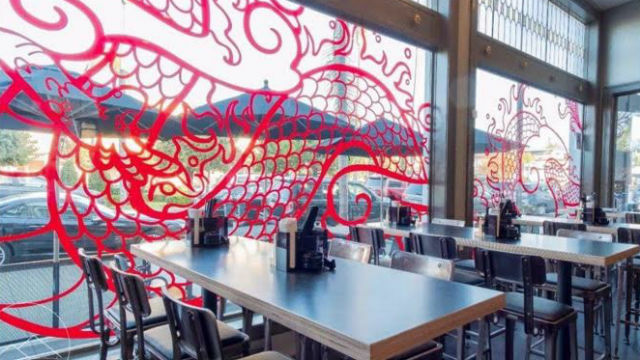 West Pac Noodle Bar at 1166 Orange Avenue features a variety of family-style plates from different parts of the Pacific rim, including Vietnamese pho, Japanese ramen, Burmese curry, Chinese dan dan noodles, Singaporean shrimp skewers, Filipino lumpia, South Korean bulgogi beef tacos and Hawaiian poke. Hours are 3 p.m. to 10 p.m. daily, with a happy hour from 3 p.m. to 6 p.m. Opening a new restaurant in the San Diego area? Please send an announcement to news@timesofsandiego.com.